A large proportion of ladybird beetle (Coleoptera: Coccinellidae) eggs are apparently infertile—they do not develop an embryo and are consumed by larvae hatching within the egg batch. The predicted benefits of egg consumption for larvae are empirically well supported. An important question, however, remains: are these eggs a maternal strategy to feed offspring (i.e., trophic eggs) or did egg eating evolve to exploit unavoidably infertile eggs? We investigated the adaptive value of infertile eggs in laboratory experiments with multicoloured Asian ladybirds (Harmonia axyridis). Female H. axyridis were assigned to low and high resource environments for brief intervals; we predicted that tactics to facilitate egg cannibalism, such as infertile egg production and hatching asynchrony, would be adopted in low food environments in which starvation risk for offspring is greater. We conducted two experiments in this manner that provided females with information about resource levels through prey feeding or scent. We also observed female oviposition patterns and tested for infertile egg distributions that departed from random. Females produced 56% more infertile eggs in the low vs. the high food treatment; however, hatching synchrony did not change. We consider a potential confound between information and nutrition state unlikely because ladybirds are well able to tolerate low food for 24 h, the duration of trials, and because females were in good condition when trials began. 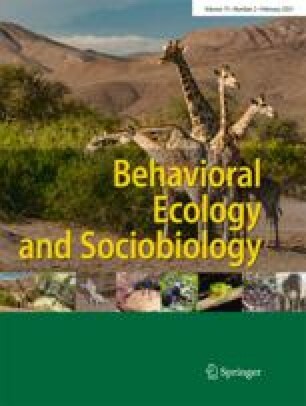 Results suggest that ladybirds use information from prey encounter to manipulate the proportion of trophic eggs in a manner consistent with the adaptive hypothesis, the first evidence of trophic egg plasticity in a non-eusocial insect.